Let this curious kitty direct water away from your foundation as he peeks over the edge of this downspout. 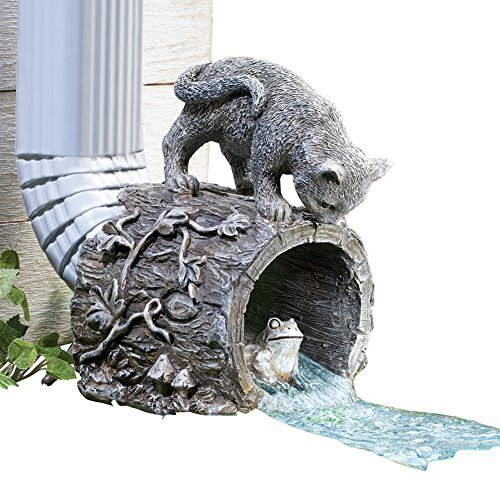 The charming, hand-painted downspout is crafted of resin and looks like a hollow tree stump covered in leaves and mushrooms with a cute frog inside. Functional and decorative downspout extends your gutter to help improve drainage around your home. Resin. 6 1/4"L x 7 1/4"W x 9"H.